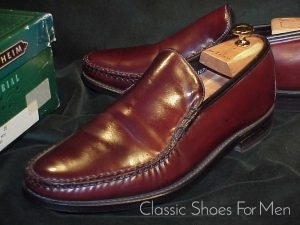 Dieses Paar wurde, circa 1980-1985, von dem grossen amerikanischen Schuhmacher Nunn-Bush hergestellt. 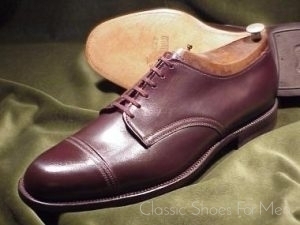 Nunn-Bush hat einen Schuh nach absolutem Massanfertigungs-Standard produziert und ist von einer Qualität, die höher ist als fast alles, was man auf dem heutigen Markt finden kann. 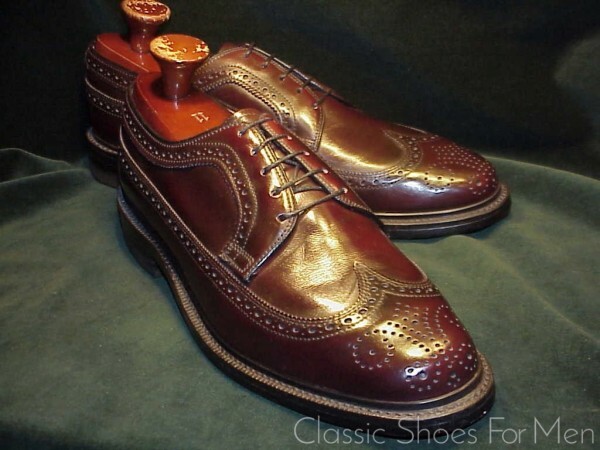 Die Leisten des Schuhes sind kompromisslos und absolut und sofort an Ihrem hohen Standard erkennbar. Von hundert Schuhen im Laufe eines Jahres, treffe ich auf höchstens 1 oder 2 Exemplare dieser wunderbaren „vintage“ Nunn-Bush. Daher kann man sie durchaus als Rarität bezeichnen, sowohl was den Sammlerwert als auch was die Qualität betrifft. 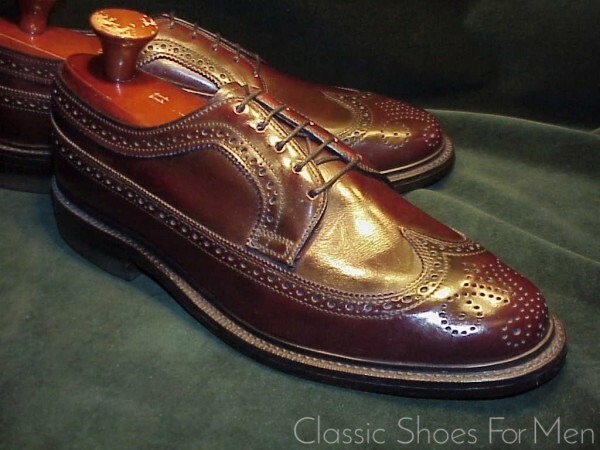 Von den 200 amerikanischen Schuhmachern, die es zu Beginn des vergangenen Jahrhunderts in Neu England gab, ist leider nur eine Handvoll übriggeblieben: Bostonian, Cole-Haan, Allen Edmonds, Alden, und J&M. Der rahmengenähte Derby scheint mit einem Leisten gemacht zu sein, der für den amerikanischen Fuss passender und robuster ist. 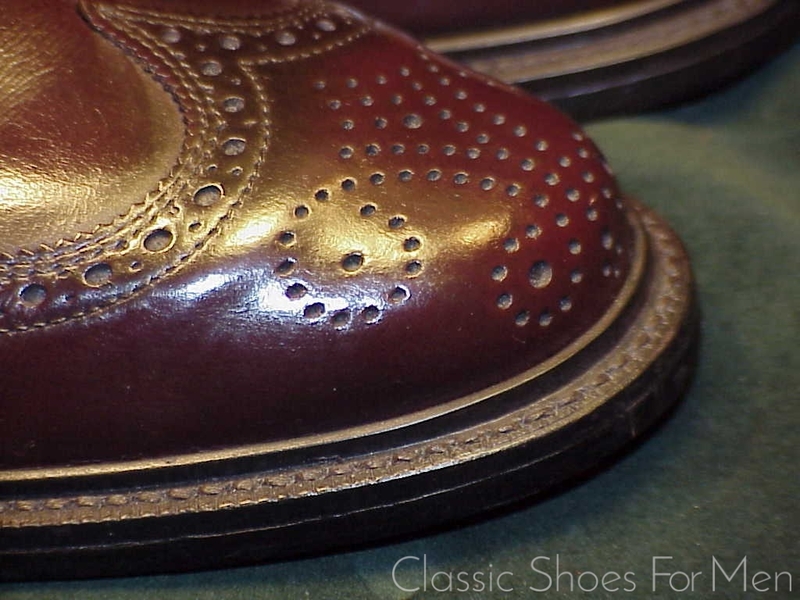 Goodyear welted und “split reverse welt” (storm welt). Eine Standard-deutsche 42EEE (eine amerikanische 9EEE), (UK 8Wide), fuer den BREITEN Fuss. 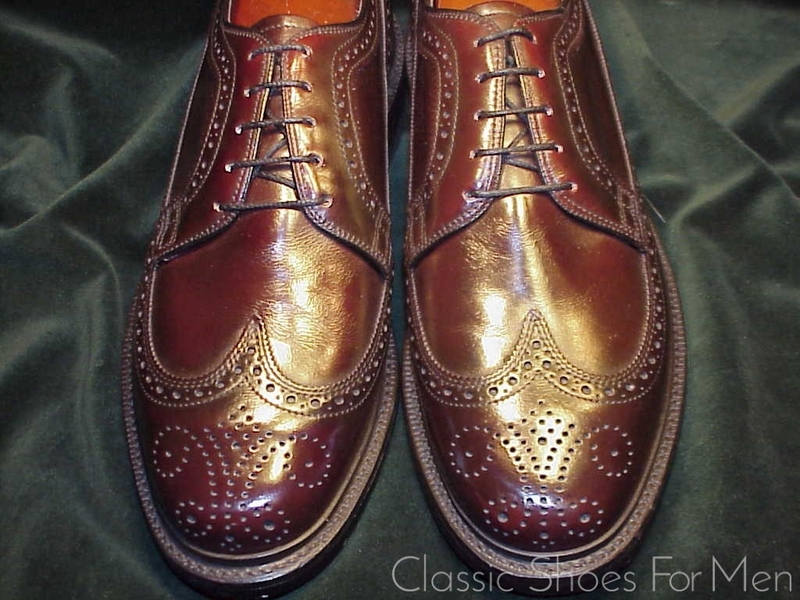 Out of the over 200 American Shoemakers clustered around New England at the start of the 20 Century, only a handful remain, among them Bostonian, Cole-Haan, J &M and, here in Europe, the better known Alden and Allen-Edmonds. 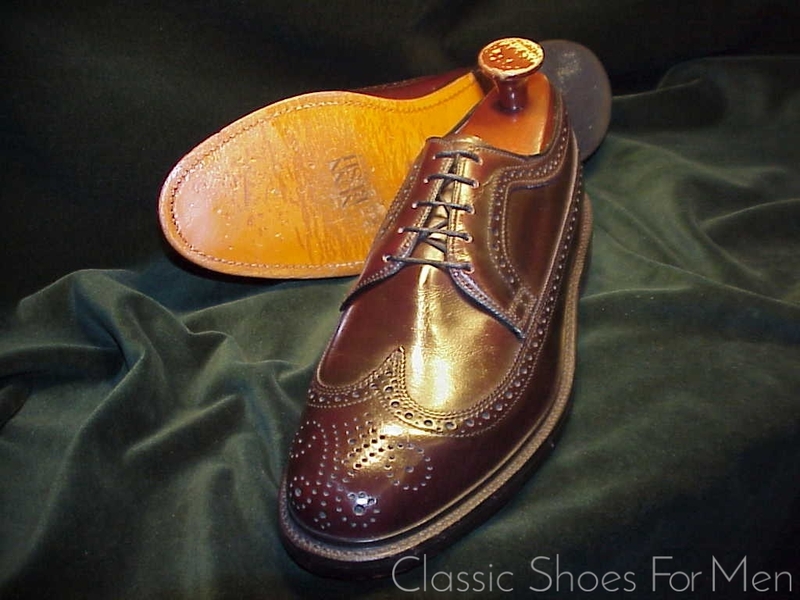 The great Florsheim and Nunn-Bush exist today as marketing firms, the bulk of their wares being produced off-shore. 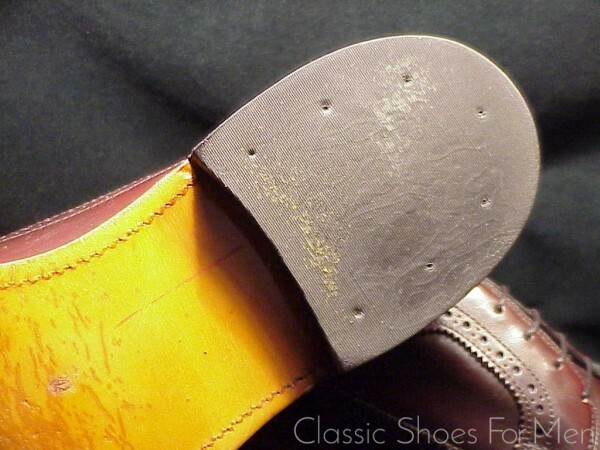 Lamentable and a far cry from the excellent hand-finished shoes for which they were once known and of which the present shoe is a prime example. 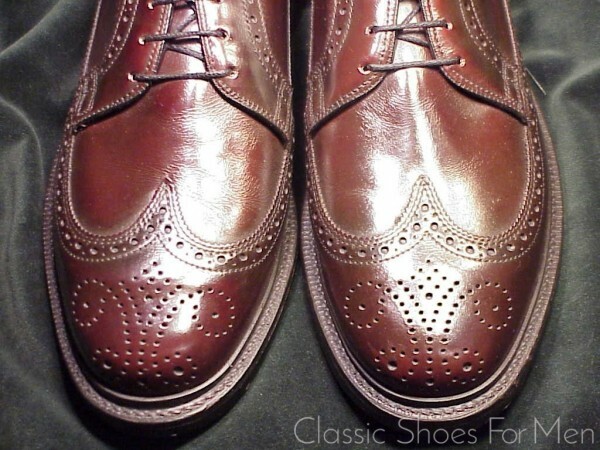 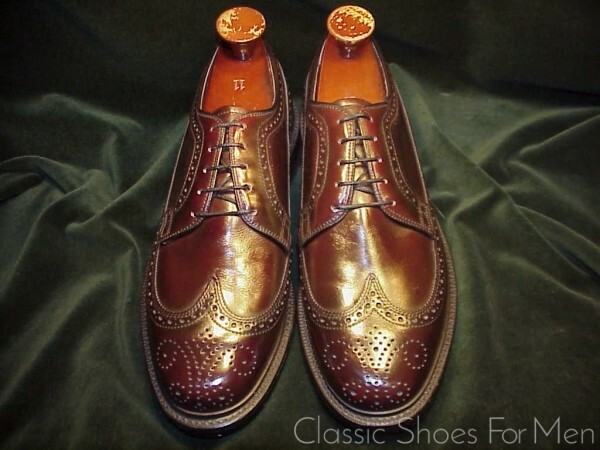 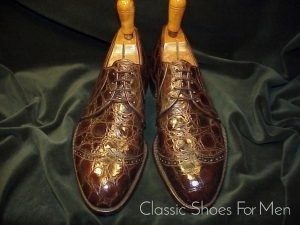 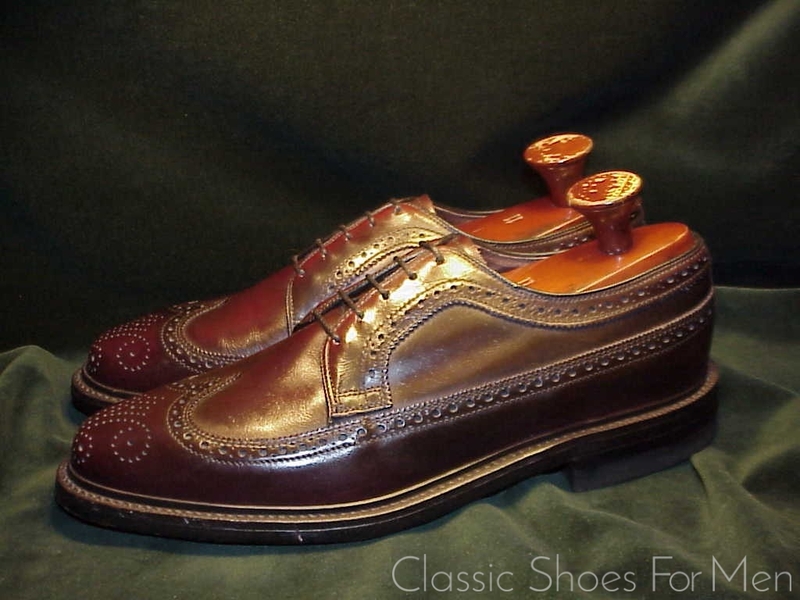 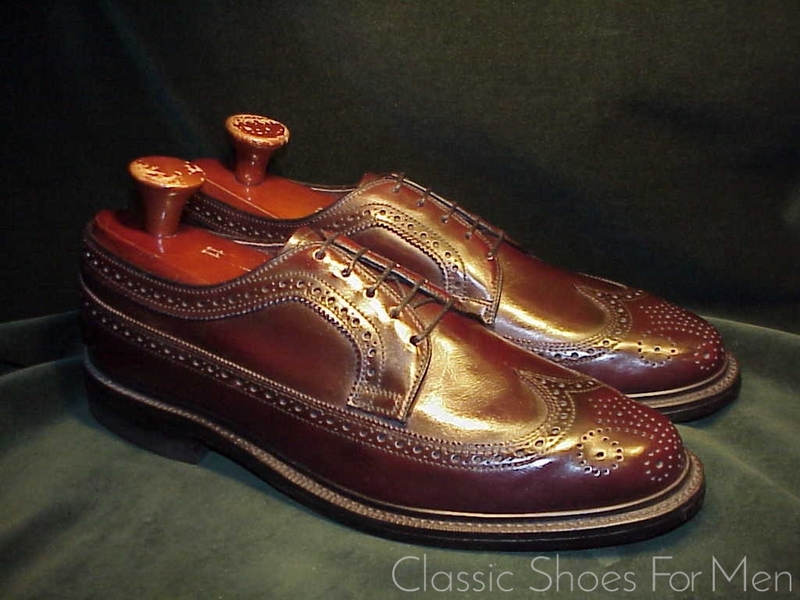 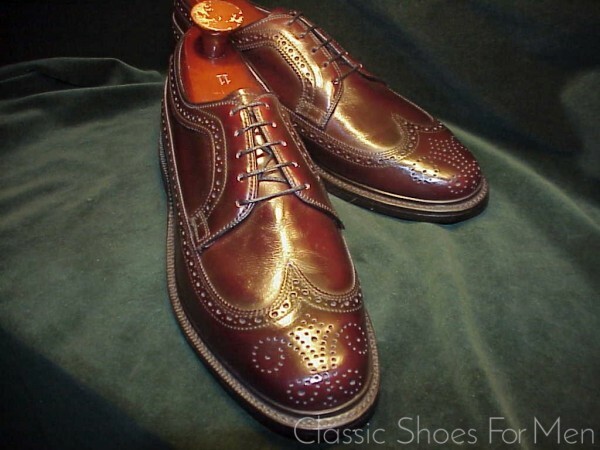 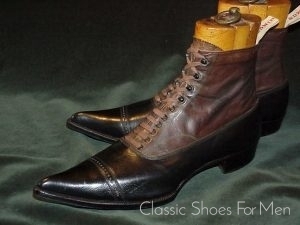 The Nunn-Bush Full Brogue in this listing, dating from the 1980s appears to have been produced in the custom workrooms of this once great shoemaker. 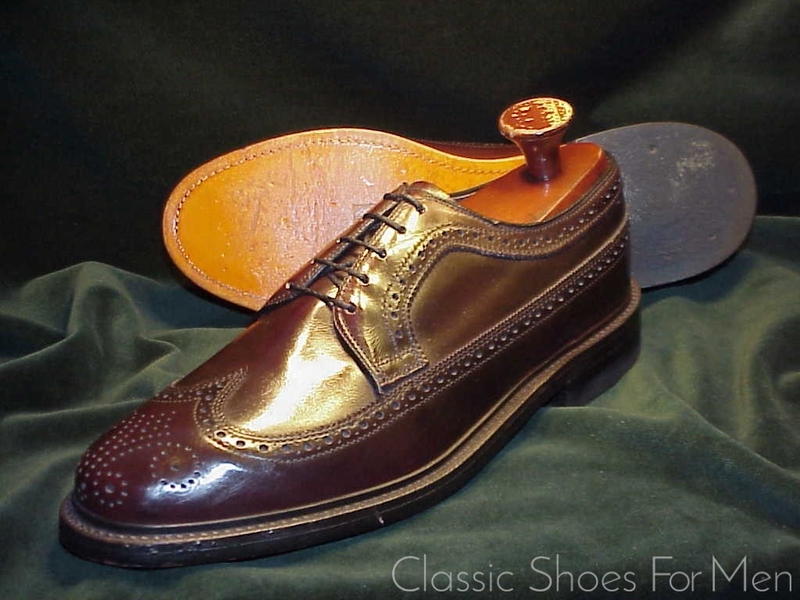 Nunn-Bush, like Florsheim, Cordwainer, Hanover, Footjoy and others, produced more than one price and quality level of product, in some cases even taking orders for custom shoes, extremely desirable rarities today. 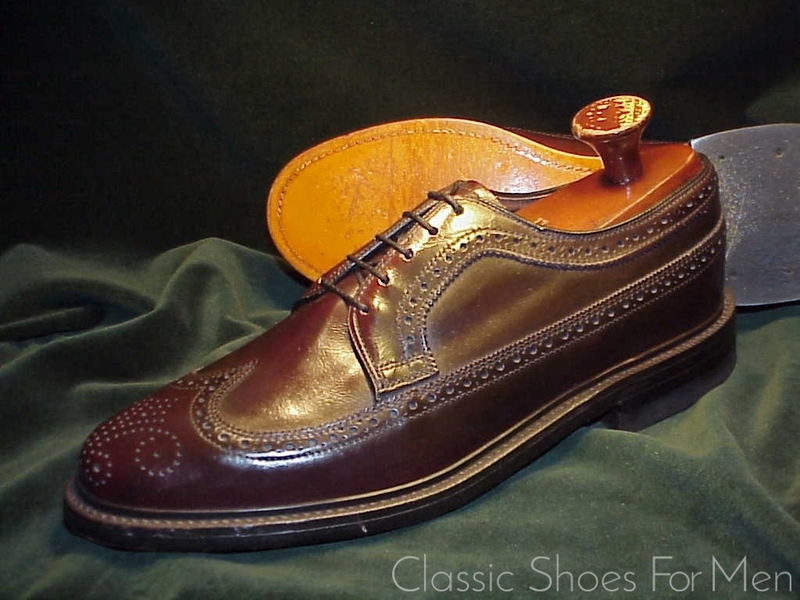 This pair, although marked for size, appears to be on that custom level, utilizing the finest skins and Goodyear welted (of course). 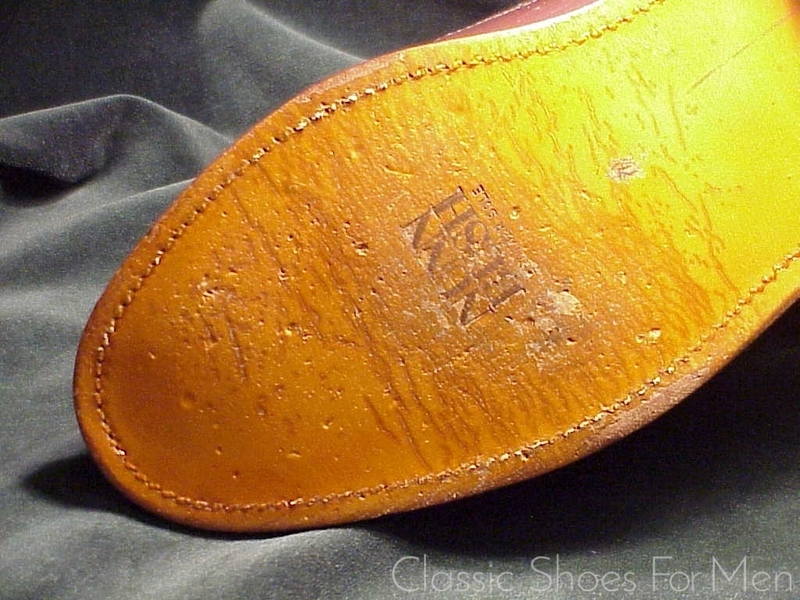 With additional split reverse welt (storm welt) (Pic#9) This is a marvelous classic model in the old tradition of workmanship, a handsome and extremely durable shoe, almost on a par with the great Florsheim Imperials of the day and, in my view, superior to most modern examples of this classic model. 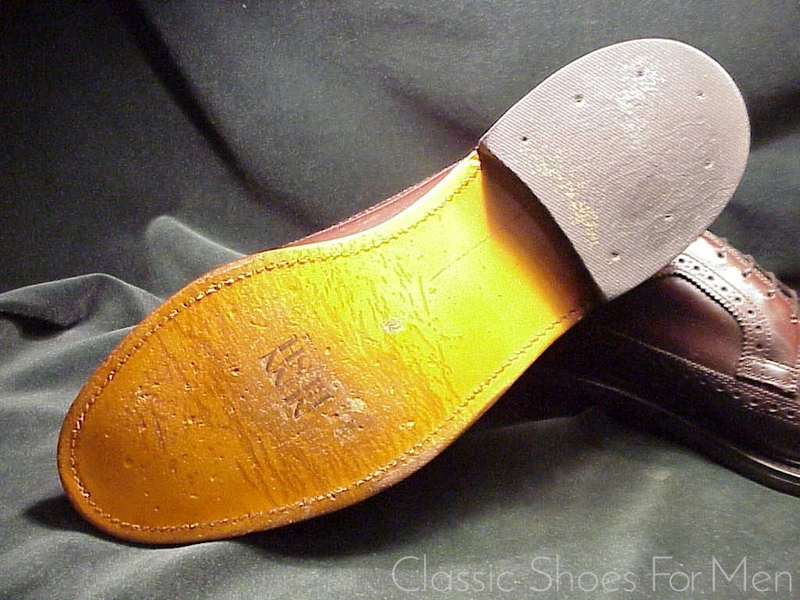 9EEE US (8WIDE UK) 42EEE European, for the WIDE foot. New and never worn, showing some scuffing to the bottoms from storage..